We have written quite a lot about oiling for an RB26, but realized we really haven't discussed oil coolers. On a stock RB26 there is an oil/water heat exchanger on the right side of the engine. 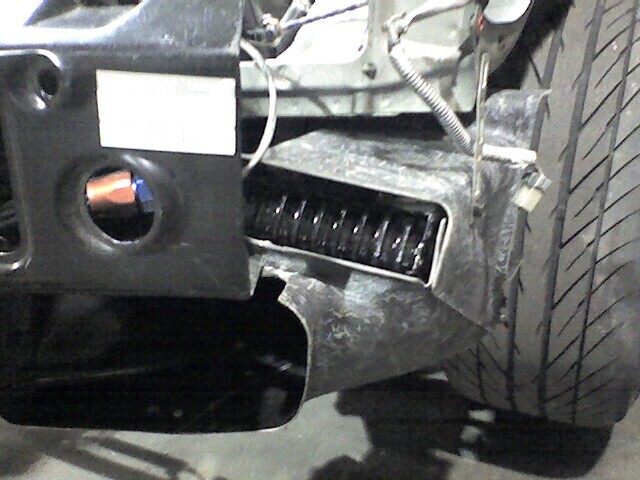 The oil filter attaches to part of the asembly. If you have an R32 with Hicas, you know how fun it is to get to the oil filter. RB factory oil cooler. Coolant lines are green. Its a good idea if you are going to go on a track, or do any high speed driving with the car to put an external oil cooler on the car. On a track, it only takes a few laps in cool outside temps to get the oil temps above the 110C range. As important as the cooler itself, is the ducting to and though the cooler core. We bolded and underlined that last line, because it is very important. 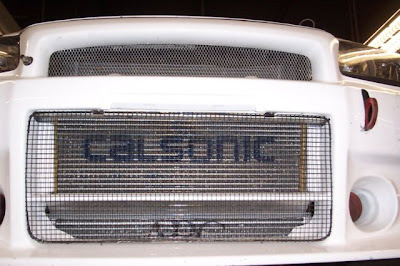 If you look at any modern car, or look at any kind of race car, ducting in and out of the core of a cooler is managed. Air is lazy. It takes the path of least resistance. Since you bought the cooler, you want the air packed at the front of it to pass though the core, not pass around it. By adding proper ducting, the air will pass though the core, raising efficiency tremendously. On an RB26DETT, you have a lot of factors that contribute to oil temperature. It is honestly near an oil cooled engine. The higher you rev it, the more temperature you add. At a point you can't cool the oil enough, and it breaks down. When it breaks down enough, you kill an engine. An RB26 has a long crankshaft with 7 main bearings. Each bearing is adding lots of heat at high rpm. 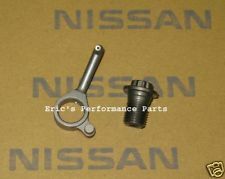 Then you have oil squirters, which in the case of OEM pistons (or some of the special aftermarket pistons), have oil cooling channels in them. Each squirter sprays at the underside of the crown of the piston, helping to cool combustion temperatures. There are advantages to this, but most aftermarket pistons don't use this technology. Some guys with big power engines, also eliminate the squirters. They aerate the oil a bit. This is also why the RB has a tendency to move a bit of oil though the PCV system. Oil is all whipped up in the bottom end between the crank, pistons, rods, and squirters. The next big factor to add heat to the oil are the turbos. Each gets hot. Each adds oil temperature to the mix. Then we have two long camshafts in the head. Both also adding some heat to the mix. So if you have been following along, you see the need for an oil cooler. The factory setup works, but by cooling the oil you are also heating up the water. At a point you overrun that system. Over the years we have tried add on water coolers, aftermarket oil/water heat exchangers, and air/oil coolers. We favor the air/oil coolers. 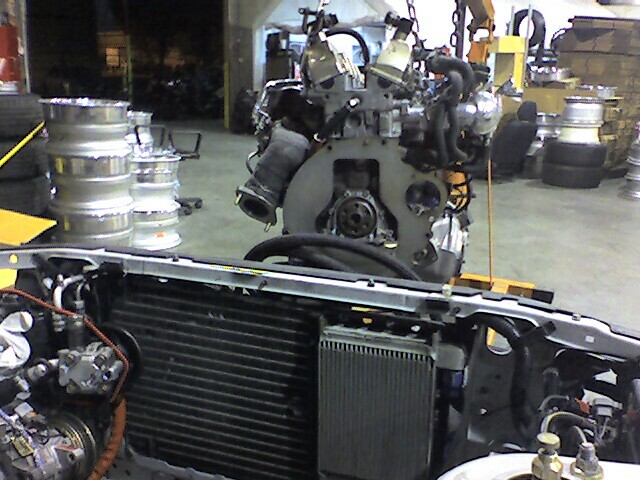 We have eliminated the factory oil/water cooler on one car we had. Cruising at highway speeds, the oil temperatures got a lot hotter than we like. 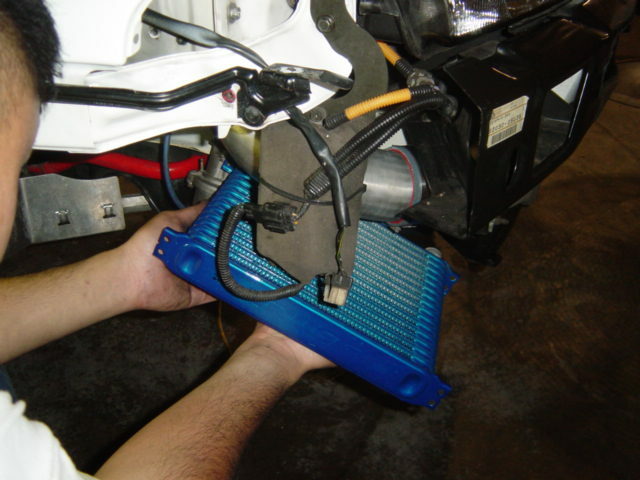 For this reason, we recommend at least a small air/oil cooler if you eliminate the factory setup. Carroll Smith, has a ton of great books about race car engineering. In those books you will find a wealth of information about oil coolers, ducting, and fittings for oil coolers. 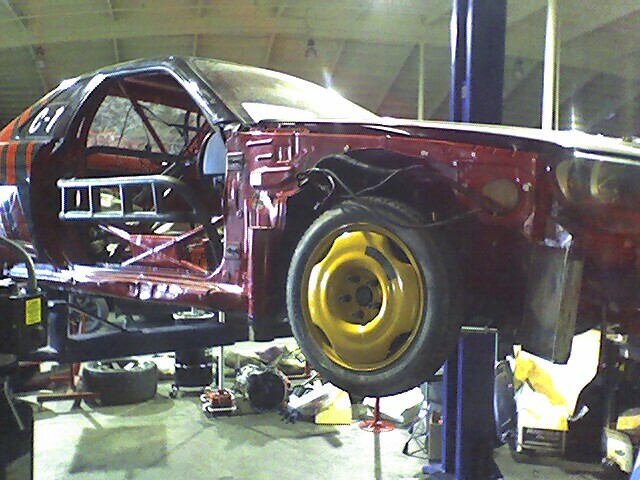 "Your race car should be easier and more pleasant to drive than your street car. If it isn't, someone is doing something wrong." There are of course, good, better, best when it comes to oil coolers, fitting, ducting and mounting. Our experience with the RB on the race track says if you are serious, running in warm temps, its hard to have enough. As you make more power, the heat capacity of the system needs to go up. 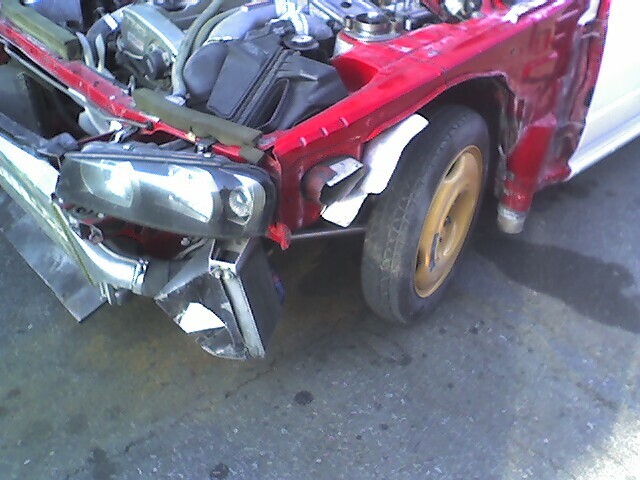 We would rather have too much oil cooler, and have to tape it up, than not enough, and kill an engine. 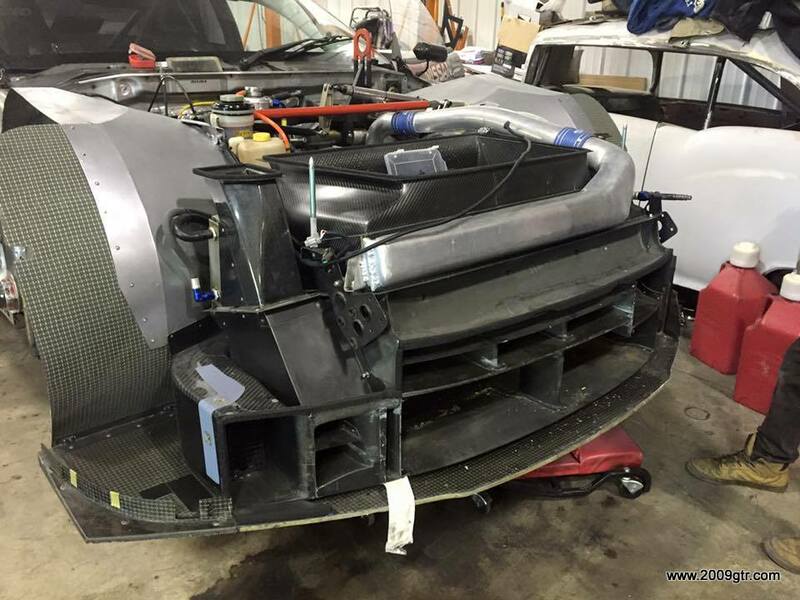 Oil cooler with ducting. .
Nismo Oil cooler kit with ducting. Very nice kit. Expensive, but worth it.